Eden Wen: General Conference, 4/2013. 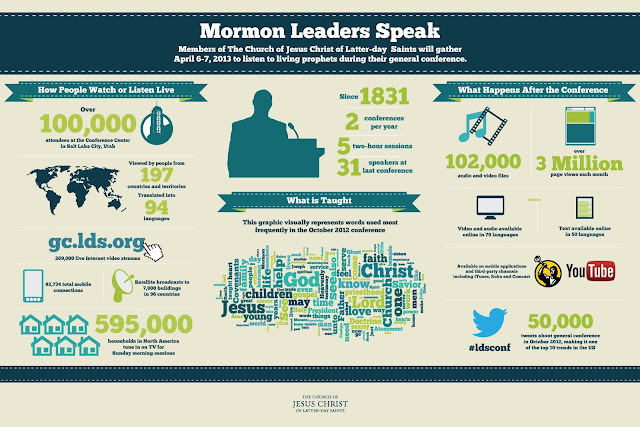 I would like to personally invite you to come listen to living prophets. I always look forward to the opportunities I have to hear counsel from God's servants and to be spiritually enriched. I know that our prophet today, Thomas Monson, communes with God and reveals His will for us. I love this Church and I love my Savior Jesus Christ. I know that He lives. I have a testimony of His beloved gospel. It has brought me happiness and peace, it teaches what I know so passionately in my mind and my heart to be truths. These truths will be spoken of today and tomorrow during General Conference. Come listen. An email from the future.